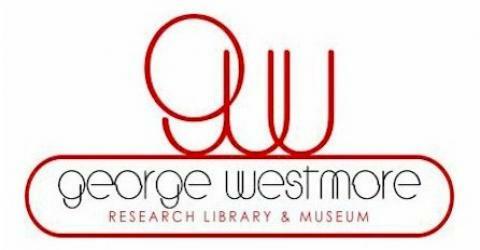 George Westmore Research Library & Museum, Inc. (GWRL&M)®, provides the information contained on this web site, including images from archival collections, for noncommercial, educational, personal, or research use only. All images, logos and artwork is protected by international copyrights & trademark registration. Please read these terms and conditions carefully. Use of this web site constitutes acceptance of this agreement. 1. Although there is no charge for the use of this Web Site, all information contained on this Web Site, including reproductions of any materials, is for NONCOMMERCIAL, PERSONAL or RESEARCH USE ONLY. Any other use, including but not limited to commercial or scholarly reproductions, redistribution, publication or transmission, whether by electronic means or otherwise without prior written permission is strictly prohibited. 2. Many of the materials contained on this Web Site have been generously provided by archives and research institutions specifically for use on this Web Site. The User should be aware that these materials may be subject to additional restrictions including but not limited to copyright® and the rights of privacy and publicity, of parties other than GWRL&M. For uses other than those of a noncommercial, personal or research nature, the User is solely responsible for determining the existence of such aforementioned rights, contacting the institution credited with the material, obtaining permissions, and paying any associated fees, which may be necessary for the proposed use. 3. All copyrights, trademarks, and related rights are reserved by GWRL&M. GWRL&M and its logo are trademarks of George Westmore Research Library & Museum. Any use of these trademarks in connection with the sale, offering for sale, distribution or advertising of any goods and services, including any other web site, or in connection with labels, signs, prints, packages, wrappers, receptacles or advertisements used for the sale, offering for sale, distribution or advertising of any goods and services, including any other web site, which is likely to cause confusion, to cause mistake or to deceive, is strictly prohibited. 4. Any use of GWRL&M or, of any text or other material, in whole or in part, contained in this Web Site in any manner to express or imply endorsement, sponsorship, affiliation, connection, or association of the user by or with GWRL&M, or to cause confusion, to cause mistake, or to deceive as to the origin, sponsorship or approval of the user’s goods, services or commercial activities with GWRL&M, is strictly prohibited. 5. The User agrees that use of the Web Site is entirely at his or her own risk. The Web Site is provided “as is,” without warranty of any kind, either express or implied. This disclaimer of liability applies to any damages or injury caused by any failure of performance, error, omission, interruption, deletion, defect, delay in operation or transmission, computer virus, communication line failure, theft or destruction, or unauthorized access to, alteration of, or use of the Web Site, whether for breach of contract, tortuous behavior, negligence, or under any other cause of action. 6. GWRL&M, its officers, directors, employees, donors, partners, agents, or content providers are not liable for any direct, indirect, incidental, special, or consequential damages arising out of use of the Web Site, or inability to gain access to or use the Web Site or out of any breach of any warranty. The User hereby acknowledges that the provisions of this section shall apply to all content on the Web Site. 7. The User agrees to indemnify and hold harmless the GWRL&M, its officers, directors, employees, donors, partners, agents, or content providers from and against all losses, expenses, damages, and costs, including reasonable attorneys’ fees, resulting from any violation of this Agreement. 8. GWRL&M reserves the right to change the terms of this Agreement or to modify any features of this Web Site at any time. By continuing to use this Web Site, the User agrees to be bound by such changes. These terms and conditions shall be governed by the laws of the State of California and applicable federal laws, without giving effect to conflict of laws principles. If any portion of these terms and conditions is unlawful, invalid, or unenforceable, then such portion of these terms and conditions shall be deemed severed herefrom and shall not affect the validity or enforceability of the remainder of these terms and conditions. Please direct any questions or comments to GWRL&M by emailing us at info@WestmoreMuseum.com.